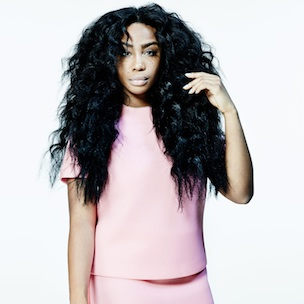 SZA Describes Her Lyrics, Says She's Working On "A"
Maplewood, New Jersey songstress SZA became the sixth member of TDE almost a year ago and since then she’s dropped an album and has been touring, often alongside her Top Dawg brothers. Recently sitting down with Complex TV, SZA talked about her early beginnings, which consisted of little money but hard work. SZA also talked about her lyrics on Z. On the song “Omega,” she says she hopes she can be relatable to anyone who has to grow up in families with split religions. SZA notes during the interview that Lauryn Hill is one of her biggest influences and says she shouldn’t change her music for the fans. She also said that’s she’s working on her fourth project, A, having already released the other acronyms of her name (S and Z). She is also planning on directing short films in coordination with Z.